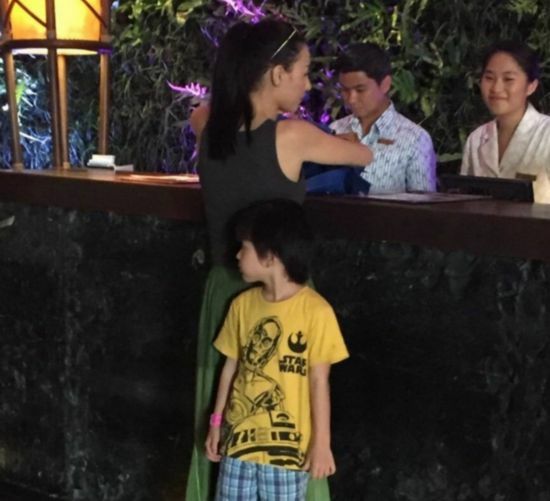 When you become a mother, being a party-planner is just one of the requirements. 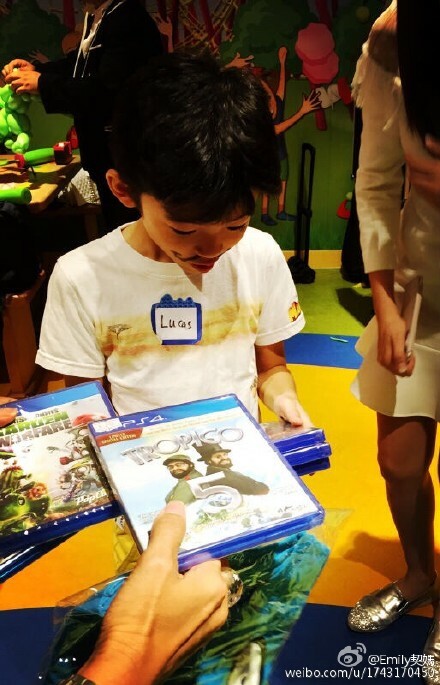 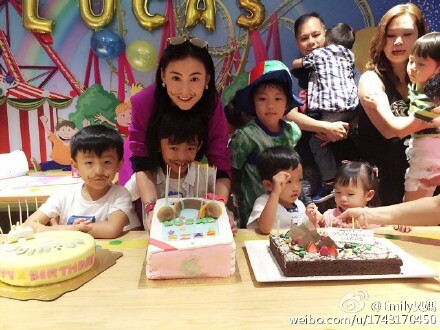 It was Cecilia Cheung's elder son Lucas' 8th birthday on Sunday, and of course, a children's party was in order. 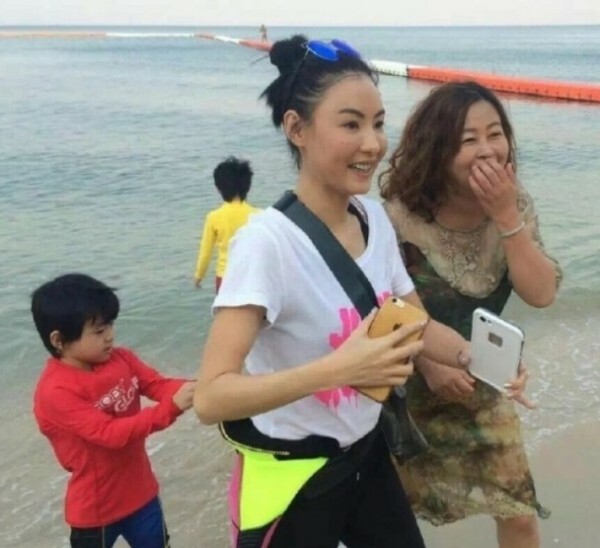 The Hong Kong actress threw him an early birthday bash in Hong Kong on Saturday, inviting her mother and good friends like Eugina Lau and Pinky Cheung for the party, reported My Paper. 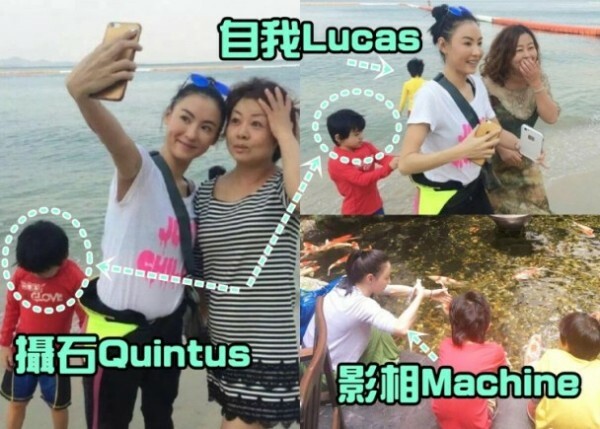 In Weibo photos uploaded by Pinky, the ecstatic-looking boys Lucas and Quintus can be seen with hand-drawn moustaches on their faces. 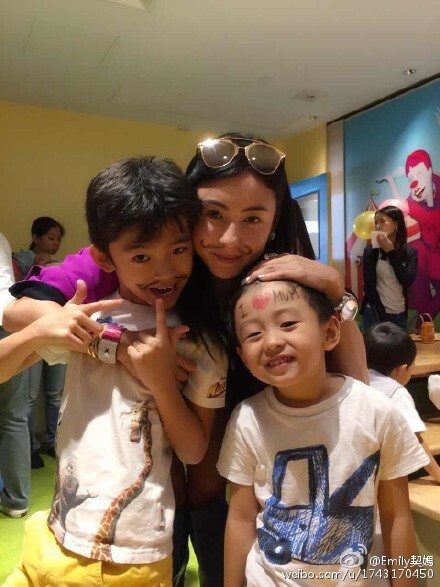 Little Quintus, 5, somehow also ended up with the words "I love mum" drawn on his forehead. 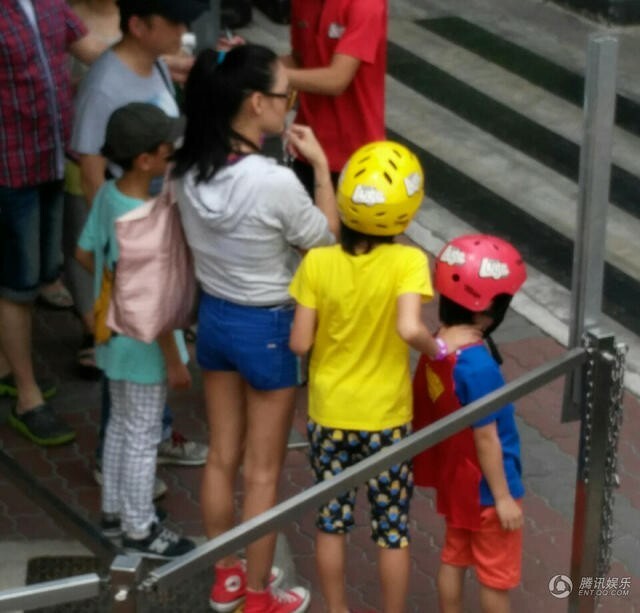 Other kids and party guests could also be seen mingling in the background. 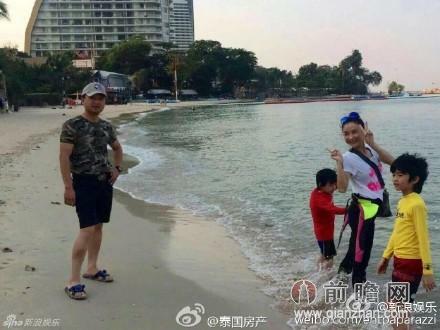 However according to reports, their father, actor Nicholas Tse, did not show up for the celebrations, presumably because he is in the middle of filming his new reality cooking show. 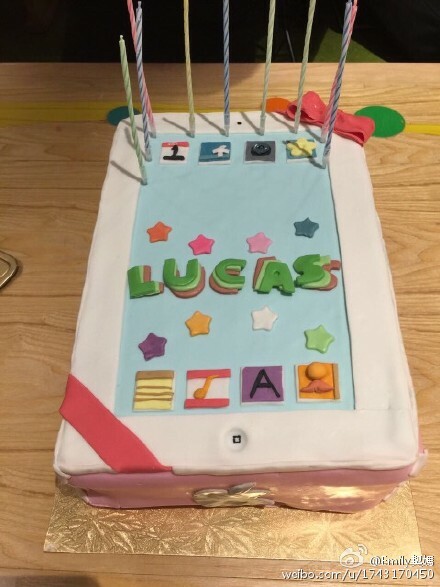 Lau revealed that his ex-wife Cheung had painstakingly made arrangements for the birthday celebration, and besides the 3D cake of a phone bearing Lucas' name, she also had another cake of a receiver made with Quintus' name on it. 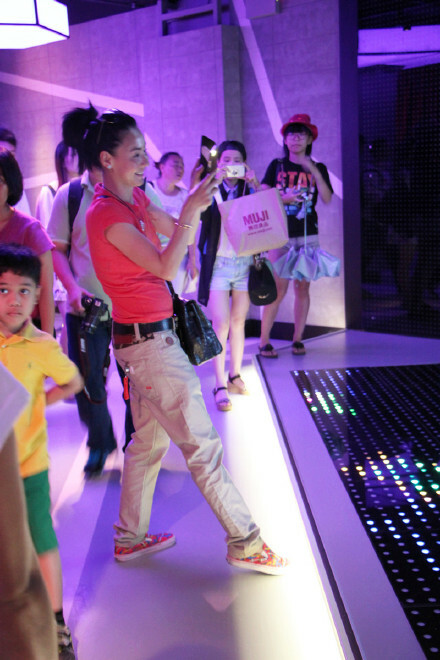 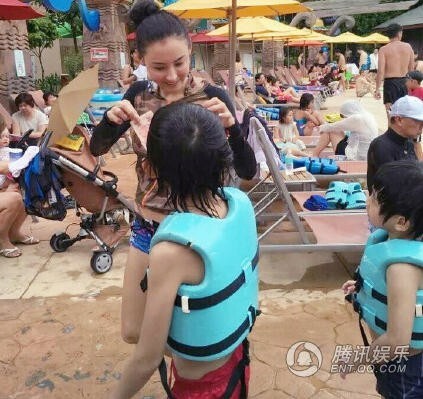 Just last week, it was reported that Cheung has spent most of the summer holidays with her kids, bringing them to attractions around Singapore, Malaysia and Hong Kong. 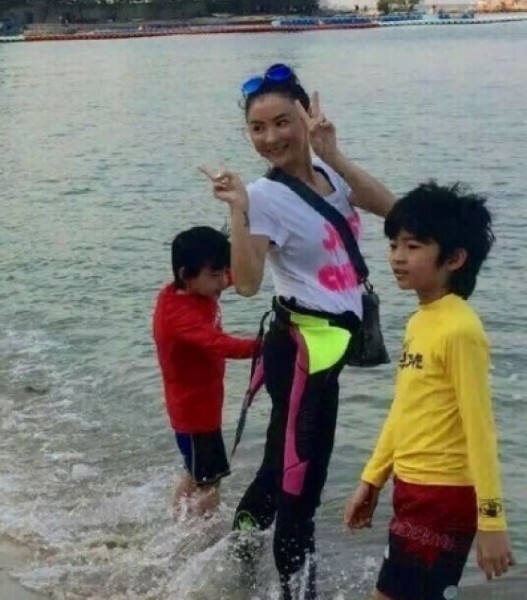 When Cheung celebrated her birthday in May, her kids were also by her side. 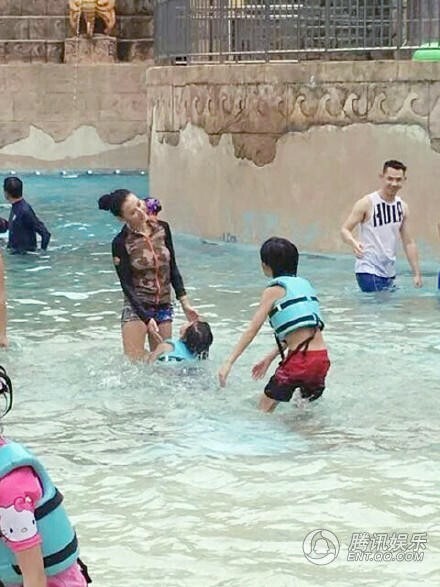 She also revealed that the children seldom get to spend time with their father, but said there can be joy in single-parent families too. 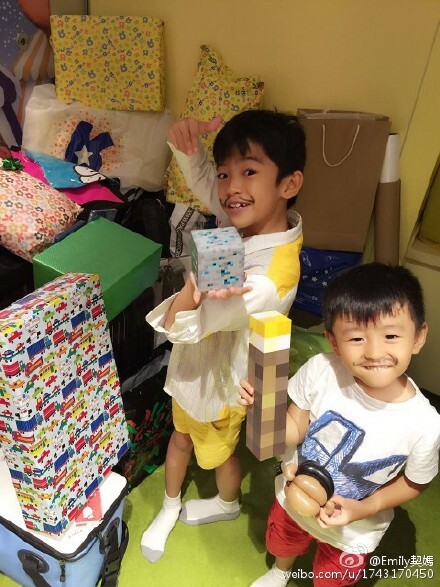 In Weibo photos uploaded by Pinky, the ecstatic-looking boys Lucas and Quintus can be seen with hand-drawn moustaches on their faces. 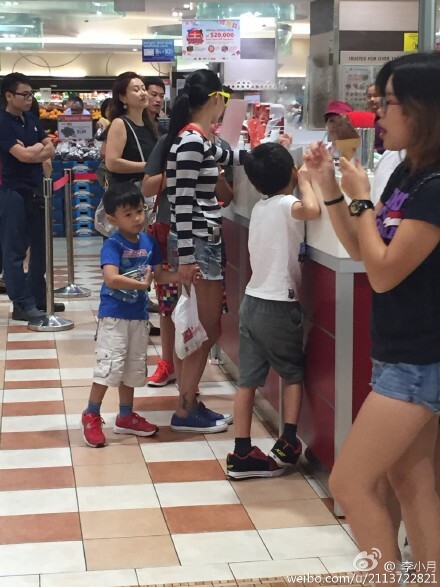 Little Quintus, 5, somehow also ended up with the words "I love mum" drawn on his forehead. 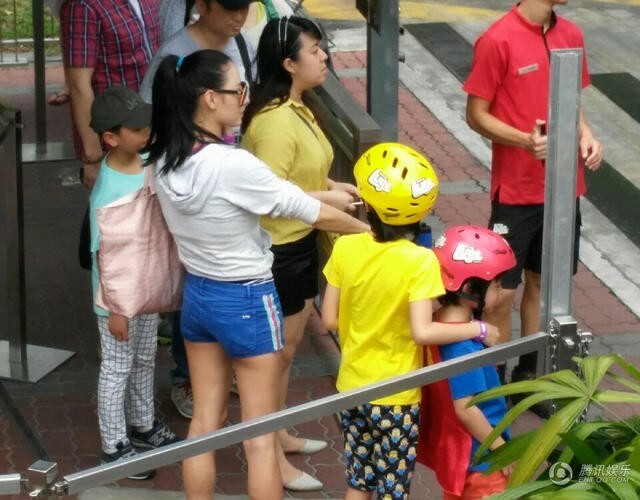 Their father, actor Nicholas Tse, did not show up for the celebrations, presumably because he is in the middle of filming his new reality cooking show. 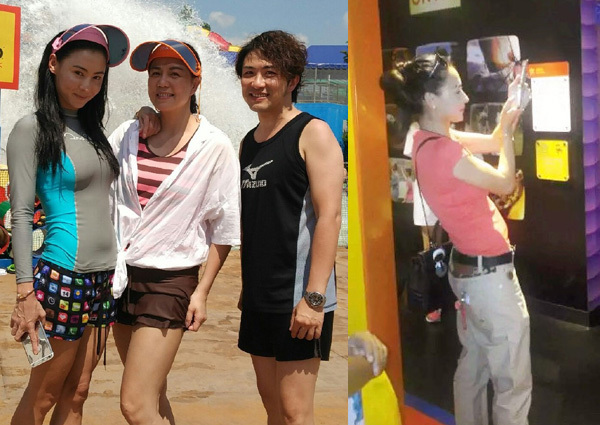 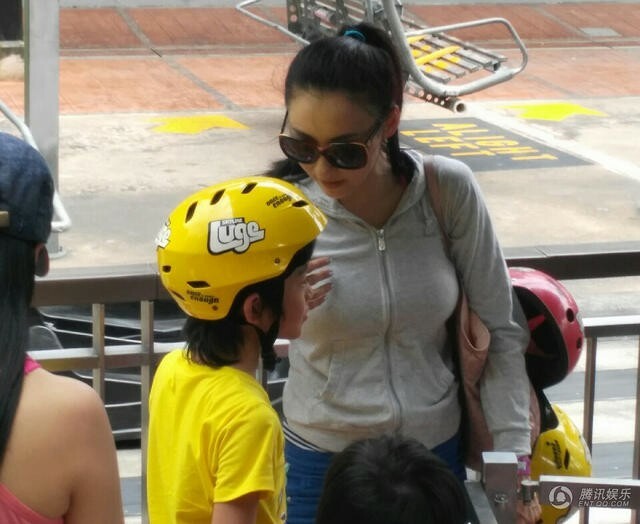 Hong Kong actress Cecilia Cheung was spotted out having fun in the sun with her two kids, Lucas, 8, and Quintus, 5, at Singapore's resort island of Sentosa recently. 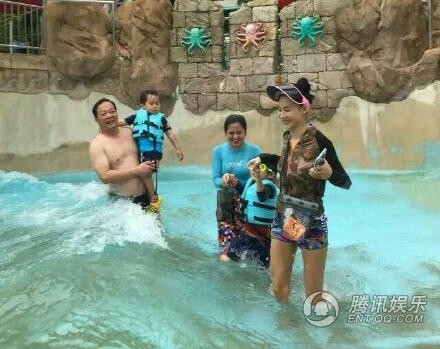 The family of three met up with Hong Kong singer Peter Cheung and his wife and two kids, who were holidaying in the region. 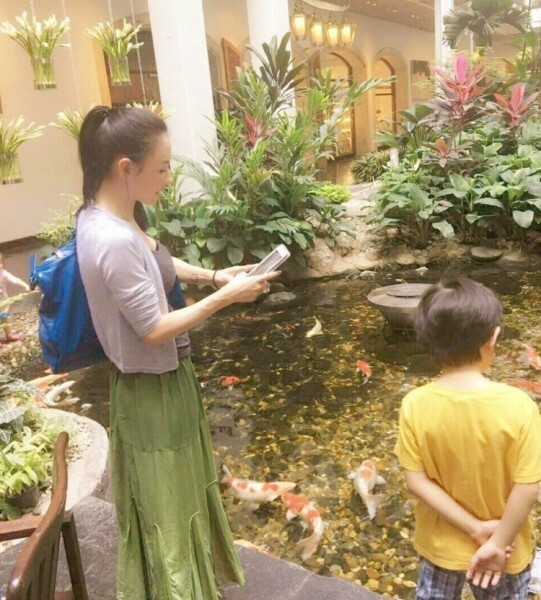 Cecilia Cheung seems to be a dutiful parent in recent weeks, planning an extended itinerary of activities for her two kids during the summer holidays. 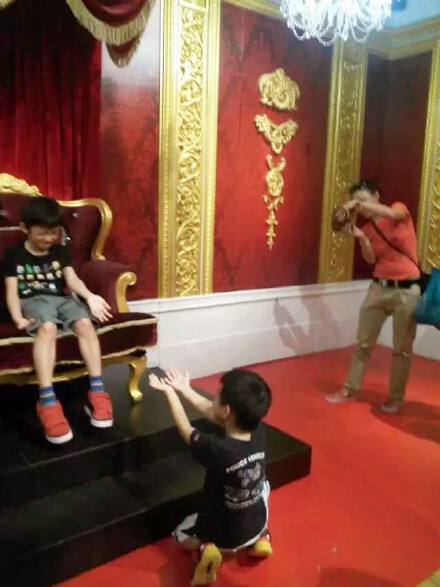 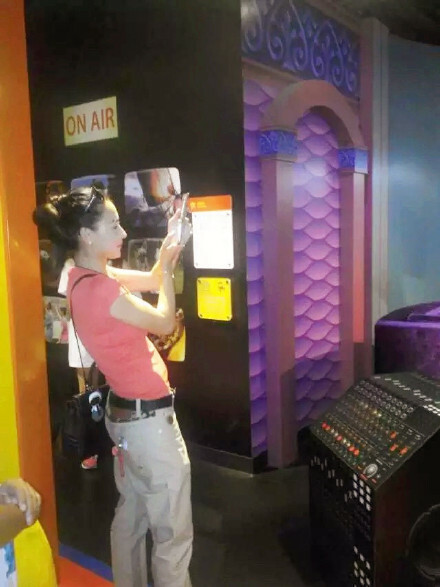 Cheung was snapped taking photos of Lucas and Quintus posing happily at the wax museum in Hong Kong, where she also gamely took photos with fans. 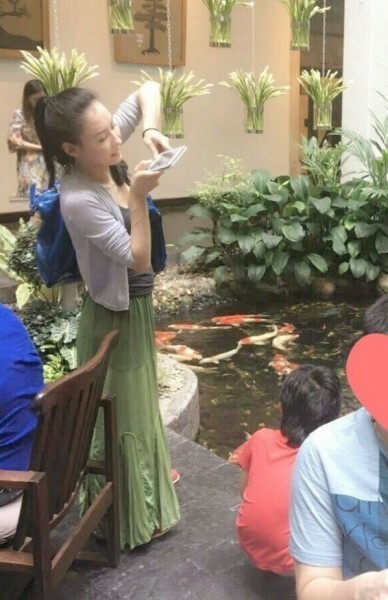 According to Hong Kong media reports, the 35-year-old beauty appeared to show off a fuller mid-section and rounder figure, sparking pregnancy rumours. 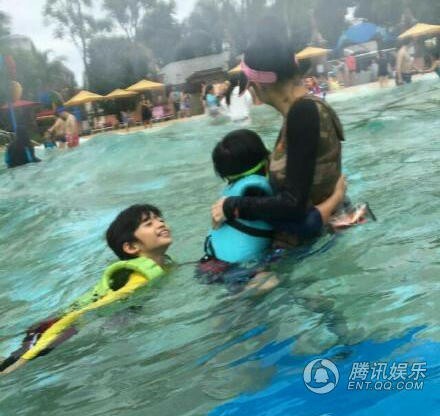 This prompted Peter to post a clarification on Weibo during their holiday: "My wife and I have verified that Cecilia is 'paper thin'. 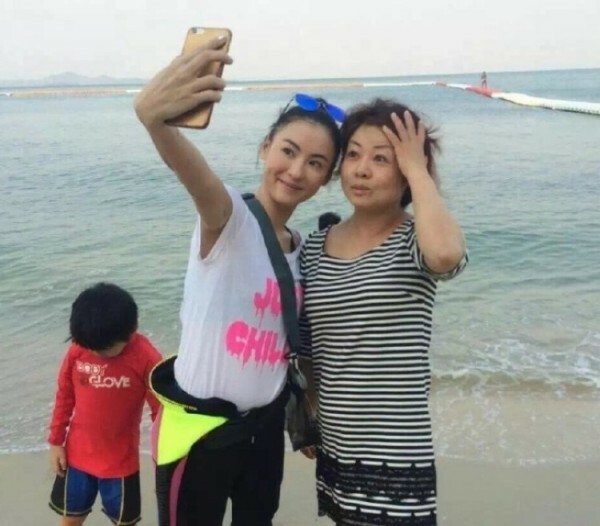 Everyone, please stop calling her fat!" 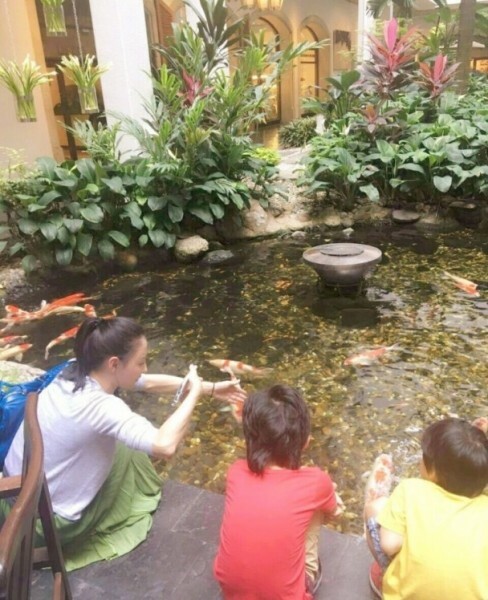 Days after their holiday, Cheung was spotted taking a break with the kids in tow at the basement food hall of Singapore's Takashimaya shopping centre.